VDC performance from Steven Karageanes on Vimeo. 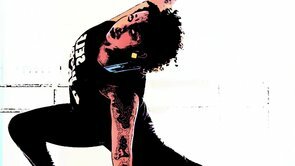 Velocity Dance Convention brings you another health and wellness segment to help keep their dancers happy and healthy. In this video, professional dancers Kathryn McCormick, Jennifer Hamilton, Sarah Draugelis, Alex Little, and Whitney Bezzant talk about how to improve performance, with a little help from Autumn Miller and Shawn O’Malley.